The Albert lounge chair is built by hand in our Brooklyn studio from premium domestic hardwoods. It blends traditional joinery techniques with a distinctly modern silhouette. 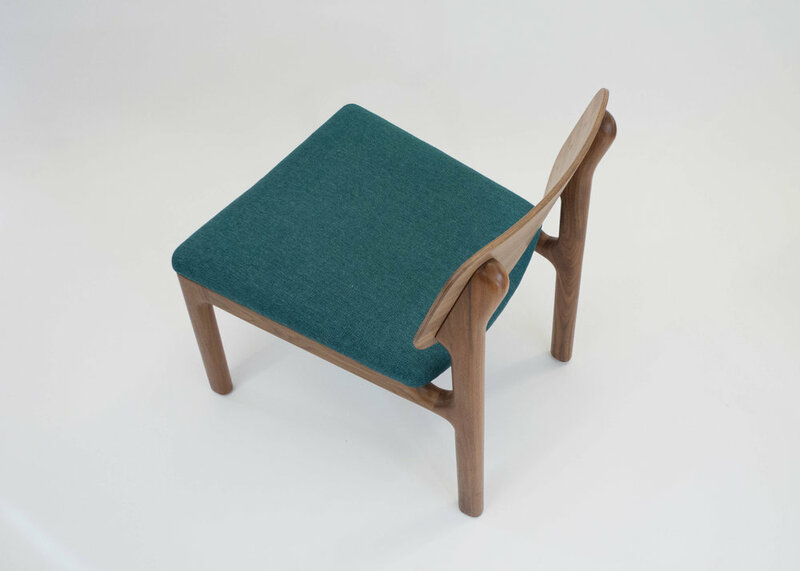 The hand-shaped hardwood frame marries the curved backrest to produce a comfortable seat. Available in domestic hardwoods and a variety of upholstery fabrics. Oil and wax finish.